There were some good metrics no longer being made. There was the Honda VTX 1800, Yamaha Warrior, Kawasaki Mean Streak, Honda Magna, and probably others that aren't coming to mind. Even if a person dislikes the metrics, it is good for them to exist because the competition from them decreases the chance of HD quality going downhill. I'll have to take your word for it. I don't keep up with metrics. Hell, I don't keep up with new Harleys. Dittos.... Only metric I thought or knew was really quality is the Goldwing. My brother in law had one for about 20 years and road all over the south and eastern US with his wife (my sister) on the back. The wing always seemed to just plain run, and/but he did maintain it well. He recently sold it with around 120K on it. Those were all VTwin clones, trying to go after the VTwin segment of the market. Which has been tough sledding. Even more so with Indian and Victory making inroads into the MoCo's territory. I think many are shifting to the European style touring scooters, and Honda has been going after the Street Glide, Road Glide Custom segment with the stripped down wings. F6R's aren't vtwins, but they are drawing some attention. The reason they went, they didn't sell. To me pleasing to the eye and very functional . Honda F1 Valkyrie, Flat 6 (dynamic balanced ) One can hardly go wrong . I should have titled the thread: There are some good metrics no longer being made. I think the ones I listed are good examples. Hell, I don't keep up with new Harleys. Me either because the new ones are basically the same as the old ones. Not much changes except for a few gadgets here and there. The Kawasaki KLR 650 has been around for 30 years, and is still being made. You can't kill them. The USMC uses it, in both gas and diesel converted. That says a lot. 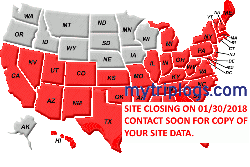 Honda Goldwings and St1100/1300 models (no longer imported) are out there with over 500k miles on them. The Kawasaki vn750 was one of the good ones, Virtually unchanged for it's entire 20+ year production run. The Suzuki SV650 is one helluva bike. Fun track bike.I use to love watching 30 or so of them dice it out racing. I own a 1983 Honda Shadow. I ride it a few times a year and it's fun. Not sure where it stands as cool but I much prefer my Fatbob!! I ran a Yamaha 650 Special with a king/queen seat and sissy bar for a few years way back. It was an excellent bike.